The introduction of CBCS under semester system has put a serious challenges for both students and teachers alike. It will keep teachers and taught busy throughout the semester period. Any departure from the schedule may put student’s career at stake. 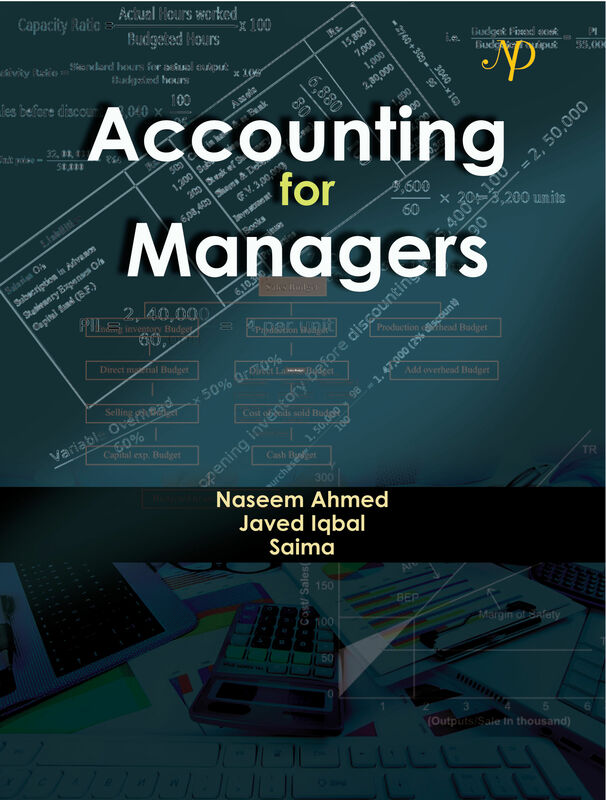 Therefore, a strategy for fast learning and understanding of the subjects like Accounting for Managers has to be adopted by the students so that within stipulated period of time, students can prepare themselves for examination as well as for practical life of the Corporate world. Hence, the book, in view of above requirements, has been designed, graded, modified and updated to meet such challenges, The text, therefore, provides a comprehensive coverage of each topic so as to make each chapter a self contained unit. A distinguishing feature of the book is the use of multi-dimensional illustrations to ensure substantial flexibility in sequencing the course material and to speed-up the process of fast learning and understanding. The text is designed to provide theoretical exposition followed by practical application thereof. The explanatory working notes provide an insight into the basic techniques and underlying procedure employed in solving the most intricate problems with ease and confidence. Thus the book helps to replace memorisation with understanding and to boost the self confidence of students. Every effort has been made to present the subject-matter in a simple and systematic manner to help students to achieve required level of proficiency and desired level of success. In view of globalization, the changes taking place in the field of reporting of accounting information to meet the need of global investors, course contents have been designed to suit the corporate requirements for the students of MBA and other professional courses.